Enjoy stunning visuals and immersive gaming performance with the Acer Predator XB281HK bmiprz 28” Class UHD LED Gaming Monitor. The 28” TN Film panel with LED backlight, 16:9 aspect ratio and built-in speakers give an ideal gaming platform with 3840 x 2160 UHD resolution. Its zero-frame design lets you add multiple monitors for having a surround gaming environment. The 1.07 billion colors along with 1000:1 contrast ratio ensure to deliver true to life color shade on the screen. Its 1ms response time with 60Hz refresh rate enables lag free output of fast-moving content, whereas the NVIDIA G-SYNC feature gives you a smooth gaming experience by syncing refresh rate of the monitor and the GPU. Adding to its high-class visuals, the NVIDIA Ultra Low Motion Blur Technology decreases motion blur and minimizes ghosting part when on-screen objects are moving rapidly. 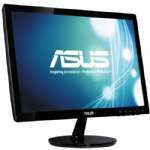 These advance image reproduction technologies enable to completely eliminate screen tearing and minimize stuttering. The Predator GameView technology allows you to customize dark boost levels for an accurate viewing of battlefields and other camouflage scenes. With Predator EyeProtect's Flicker-less, Blue-light Filter, ComfyView and Low-dimming technologies, it lets you play for longer periods without straining the eyes. 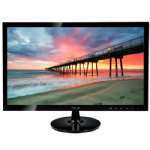 The tilt, swivel, pivot and height adjustment features of this monitor, ensure to give a perfect viewing angle from various sitting positions. 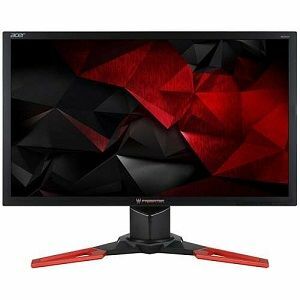 So, order the Acer Predator XB281HK bmiprz 28” Class UHD LED Gaming Monitor today!